Kourtney Kardashian and Younes Bendjima found one another in 2017, but it wasn't exactly an easy road to romance. After a very rocky on-again, off-again relationship with her baby daddy, Scott Disick, Kardashian struggled to move on following their breakup. During an episode of Keeping Up With the Kardashians (via People) that aired in December 2015, she told her mom, Kris Jenner, "I just got out of a nine-year relationship, I think that the last thing I probably need is anybody in my life." However, her aversion to jumping back into the dating world didn't last long. 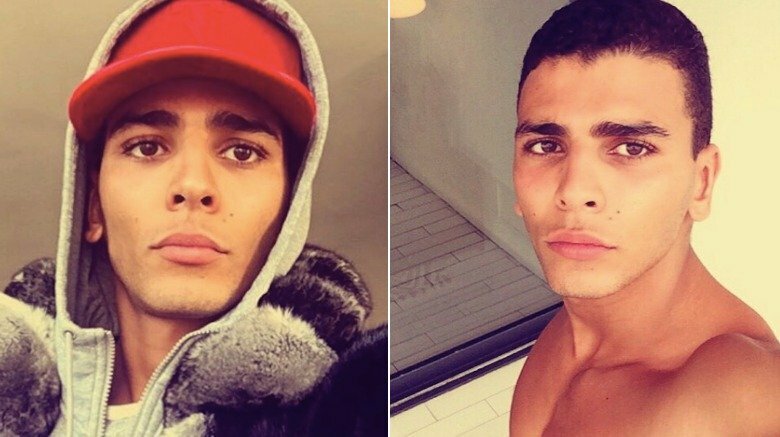 By May 2017, she had gone public with a handsome, much younger hunk who was later identified as Algerian model Younes Bendjima. We were thrilled the mother of three was giving love another shot, but, over time, we realized there's nothing normal about this romance. 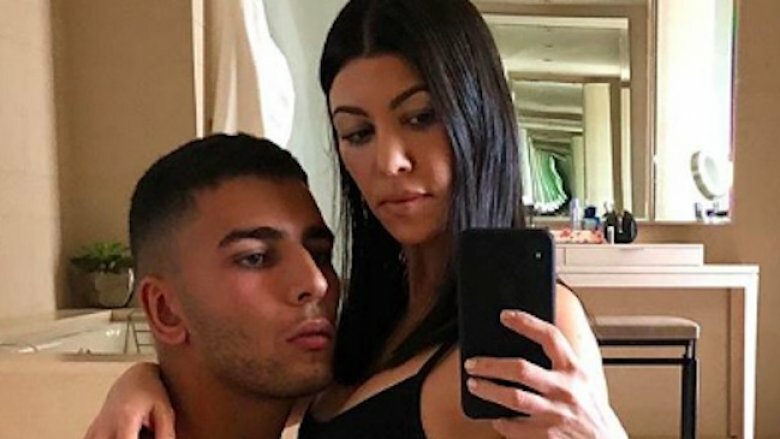 From their 14-year age difference to rumors that he demanded an allowance from her, here are all the strange things about Kourtney Kardashian and Younes Bendjima's relationship. 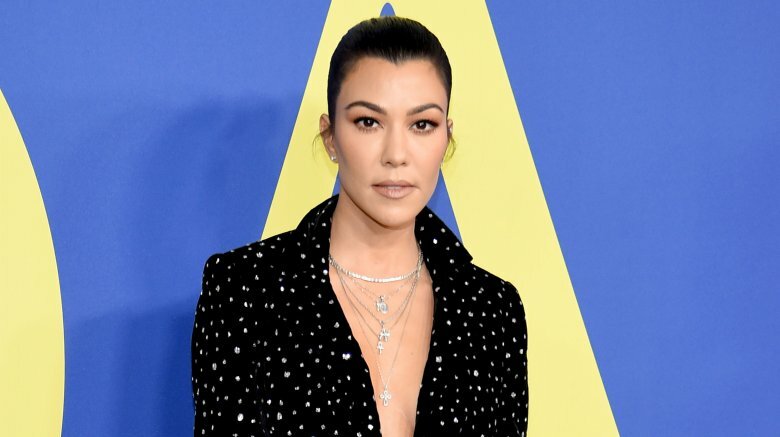 During an episode of Keeping Up With the Kardashians, Kourtney Kardashian talked about the night she met Younes Bendjima in Paris. Their initial meeting just so happened to occur during the same trip Kardashian's sister Kim was reportedly robbed by masked gunmen during Paris Fashion Week 2016. "We walked into a bar and [Kim's ex-assistant], Stephanie [Shepherd], was across from me and she kept going, 'This guy's cute over here,'" Kardashian said as she recalled the night's events (via People magazine). "He would walk in, say hi, shake hands with like, our security or whatever, but not say hi to us," she said. "And then I was like, 'Why do you hate us?' I was just drunk … Once I said that, he literally like grabbed my hand and was like, 'It's 5 in the morning. We're leaving.'" Okay, things sound a bit sketchy so far. But wait — things got even stranger. "And then next night Younes was like, 'Bring your a** here,'" Kardashian recalled of his less-than-romantic gesture. Based on Kardashian's account of events, Bendjima went from being shy and reserved to bold and boorish in the blink of an eye. We're cringing already. What we've learned from being bystanders to celebrities' love lives is that Hollyweird is a small town. It seems like everyone has dated everyone at some point, and they're all connected to each other in some strange way. 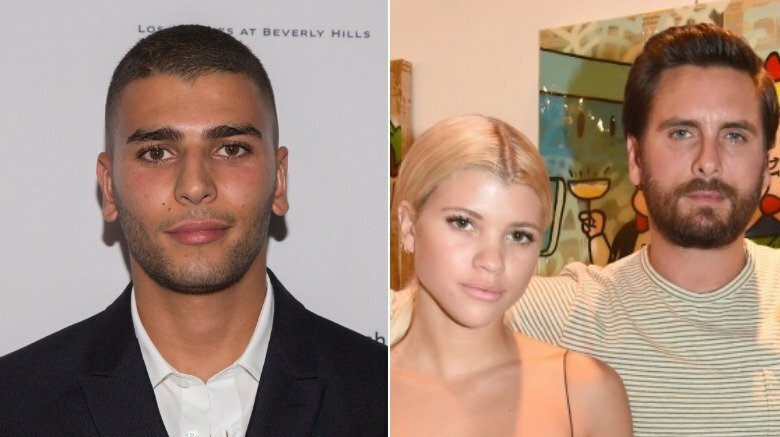 Based on this assessment, we really weren't that surprised when Bendjima was linked to fellow model Sofia Richie. So, why is this so strange exactly? Well, at the time of this writing, Richie is in a relationship with Kardashian's baby daddy, Scott Disick. Prior to Bendjima and Kardashian hooking up, he and Richie were reportedly really good friends — making things super duper awkward. Kardashian and Bendjima jetted off to Egypt in August 2017, and, after returning from their vacay, Bendjima was photographed at a juice bar with — you guessed it — Richie! Although his and Richie's relationship was deemed "amicable," an insider told Us Weekly in October 2017 that their friendship hit the skids once he started dating Kardashian, and the former pals were "not really speaking anymore." They had even unfollowed each other on social media. Hmm … this sounds slightly shady to us. If they were indeed just friends, it seems a little drastic for them to cut off all communication and hit the unfollow button, no? 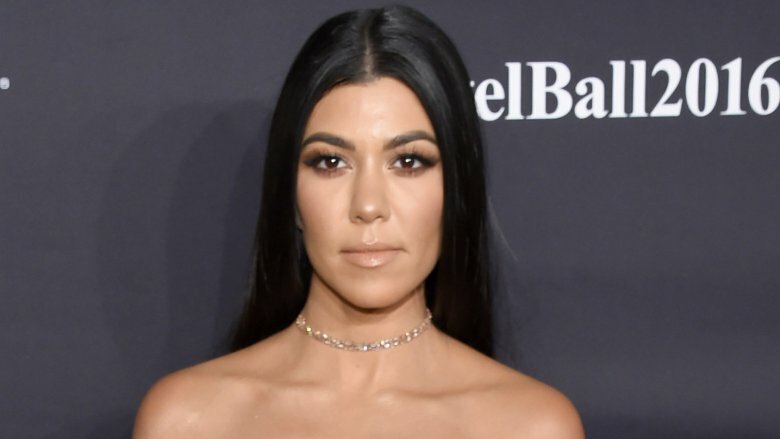 After news circulated that her sisters Khloé Kardashian and Kylie Jenner were expecting babies, many assumed Kourtney Kardashian would also join the preggo party. "Kourtney thought she was pregnant for a minute this month and it completely freaked her out," a source close to the reality star told Hollywood Life in February 2018. "She was afraid to tell Younes [Bendjima] because she did not know how he would react. He comes from a strict family who would insist he get married right away and Kourtney is not sure she is ready for that." In the end, Kardashian's pregnancy scare was nothing more than a false alarm, and they were both reportedly "a little sad and relieved at the same time." Instead of moving on from the situation, Kardashian decided she would use the pregnancy scare as a way to play a trick on the father of her three kids, Disick. "She teased him about being possibly pregnant with Younes' baby and he completely lost it," the insider said. "Scott is dead set on having continuity with all of his children so it really bothered him that Kourtney would introduce a different father into the chain of siblings." The source went on to say Kardashian "enjoyed torturing Scott with the news for a few days, letting him freak out about the news before letting him off the hook with the information that it was all a false alarm." Was he getting flirty with other women? We can't even imagine how Kardashian handles all the women who drool over her boyfriend every single day. Her ex, Disick, wasn't chopped liver, but let's face it: He was no Bendjima. And Kardashian is reportedly realizing that dating a hunky supermodel is tough! The pressures of being in a relationship with a stud came to a head in March 2018 when Kardashian and Bendjima both put their Instagram accounts on private. When the mother of three returned to the social media platform, she had unfollowed her beau, according to Hollywood Life, hurling her fans into a state of panic. "Kourtney and Younes had their first huge fight over this past weekend. She heard some stuff about him getting flirty with other models and she called him out on it," a source told the website. "He got defensive and things escalated fast. A lot of things were said that they both eventually regretted, and they almost broke up over it." We're glad they were able to get over their issues because we'd hate to see Kardashian in another relationship with someone who's allegedly unfaithful. Shortly after their first meeting in Paris, Kourtney Kardashian and Younes Bendjima were already in talks to start a business together, according to Radar Online. Reports suggested Kardashian had made calls to realtors and had been scoping out spots in Los Angeles where Bendjima could open a new restaurant serving authentic dishes inspired by his homeland. "The place will serve Algerian food and she plans to trot all the Kardashian clan in there to make it the hot new thing when it opens," an insider told the publication. Sources reported Bendjima's family was previously in the restaurant business, so it wasn't like he would be entering the new venture completely clueless. However, we questioned Kardashian's motives when it was reported that she was anxious for her new boyfriend to have a legit business away from the modeling world. It seemed way too soon for the duo to mix business with pleasure, and, at the time of this writing, a Kardashian-fronted Algerian restaurant has yet to materialize. Let's just hope the reality star decided to pump the brakes on this idea entirely. Rumors began to circulate in June 2018 that the pair was on the outs. By that point, they hadn't been photographed together since May of that year, and a source told Radar Online, "They just aren't really seeing each other." The source continued, "She is doing her thing and he is doing his … Younes was a beautiful distraction for a while, but right now she is just focused on herself, her career and her kids." During their alleged time apart, Kardashian was spotted with her kiddos at Disneyland and lounging by the pool with her girl squad without a care in the world. It truly appeared that she was enjoying the single life, but their time apart didn't last long at all. A few weeks after the Radar Online report, she and Bendjima flew out to Rome for a romantic getaway, proving she was ready to be distracted by his beauty once again. Kardashian may not be as risqué as some of the other members of her family, but that doesn't mean she's unable to make heads turn when posing for a scantily clad photoshoot. After having three kids, the reality star can still give women in their 20s a run for their money, so can you really blame her for flashing some skin whenever she feels like it? While the world goes gaga over her barely-there outfits and the countless bikini pictures on her social media accounts, there's one person who isn't so pleased with Kardashian putting her mom bod on full display. According to Radar Online, Bendjima is ready for her to cover up already! "The idea of other dudes creeping over his girl gives him the creeps," a source close to the model told the website. "He's been dropping subtle hints about this for a while, but Kourtney's ignored them all." On one hand, we think Kardashian should do as she pleases. But, on the flip side, we see where Bendjima is coming from, as well. If Kardashian continues to brush off his concerns, it won't bode well for the state of their relationship. Kourtney better have my money! We can't be too sure who's the breadwinner in this relationship, but our money's on Kardashian. Our suspicions were confirmed when Radar Online reported that the supermodel and former boxer demanded an "allowance" to hang out with his reality star girlfriend. Say what?! "Kris [Jenner] and the KUWTK team need him for a while yet as he's a central part of the show's plot-line, so he's in a very strong position," an insider told the website. "Of course, he serves other needs for Kourtney, helping with day-to-day stuff as well as keeping her centered." The source went on to call Bendjima "the best lover" Kardashian has ever had, which was prompting her to do whatever she could to keep him in the picture. 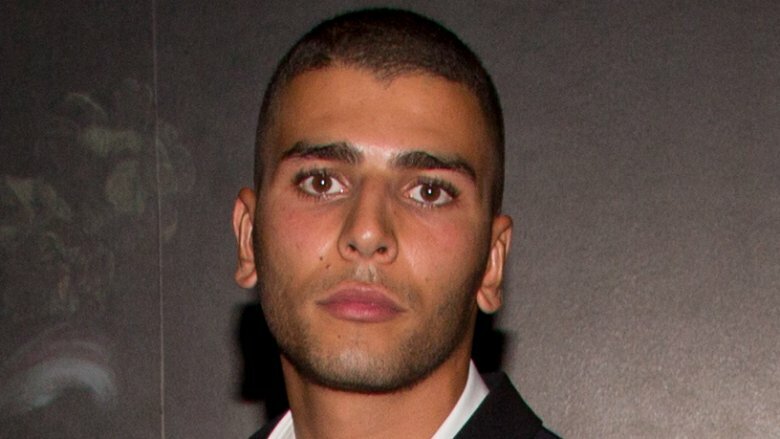 "Since he's put his modeling and boxing career on hold and committed to all the family's photo ops, he wants it to be reflected in his allowance — just like it is with [Kris Jenners' rumored boyfriend Corey Gamble] and other non-famous Kardashian partners and sidekicks," the source said. This rumor sounds extremely far-fetched. We just can't imagine the desirable Kardashian actually paying for a man to keep her company. But hey, stranger things have happened. Is she ready to leave America behind? Things have been heating up in Kourtney Kardashian and Younes Bendjima's relationship. Given the state of their romance, Kardashian was reportedly eyeing a move to Paris to be with Bendjima. It wouldn't be a permanent relocation, though. She would simply spend a few months in the City of Love as an extended vacation, a source told Hollywood Life. One person who was reportedly furious about her plan to bid America adieu was her ex-boyfriend, Disick, who reportedly flew into a "jealous rage" upon hearing the news. 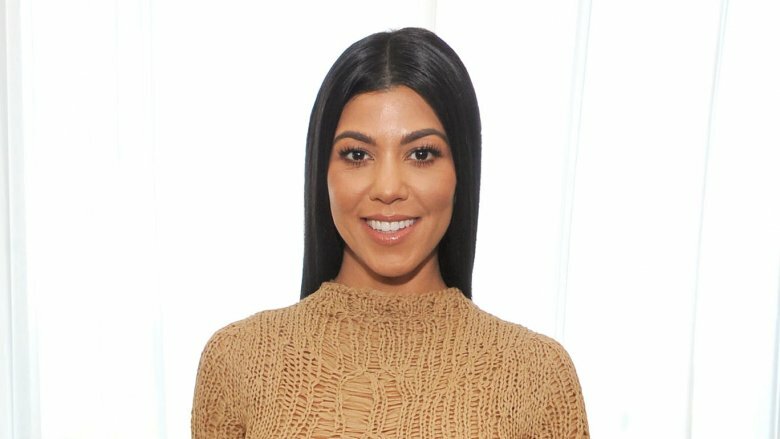 "Scott's promised Kourtney a huge battle if she goes through with her plans to move to Paris with Younes and his kids," the insider said. Uprooting her three kids, even for a few months, seems like a horrible idea. Sure, they'll get to experience a new culture, different surroundings, and amazing French cuisine, but they'll be completely out of their element and away from their dad for months on end. No, Kourt. Just no.